The River Wensum rises near Whissonsett in north west Norfolk and is a tributary of the River Yare. 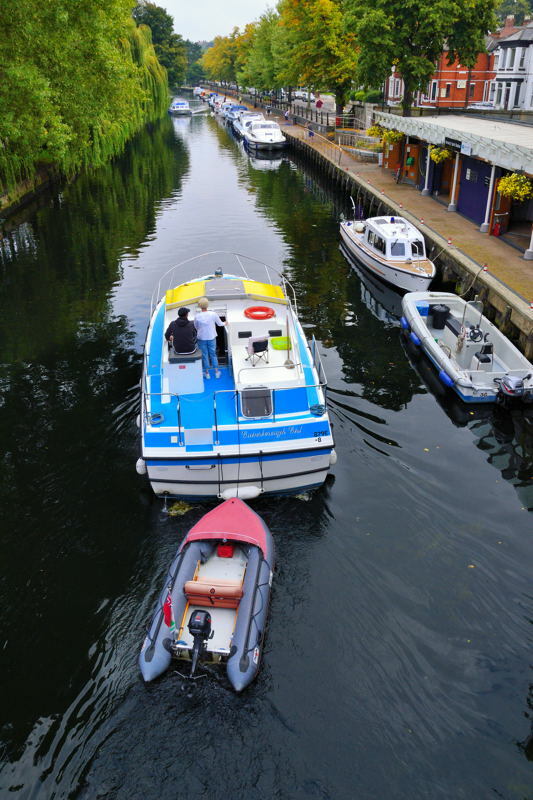 The river is navigable from New Mills Yard to Whitlingham. The limit of navigation for hire craft is Bishop Bridge. There are many ways to explore the upper reaches of the Wensum including by canoe. At Whitlingham the Wensum merges with the River Yare. 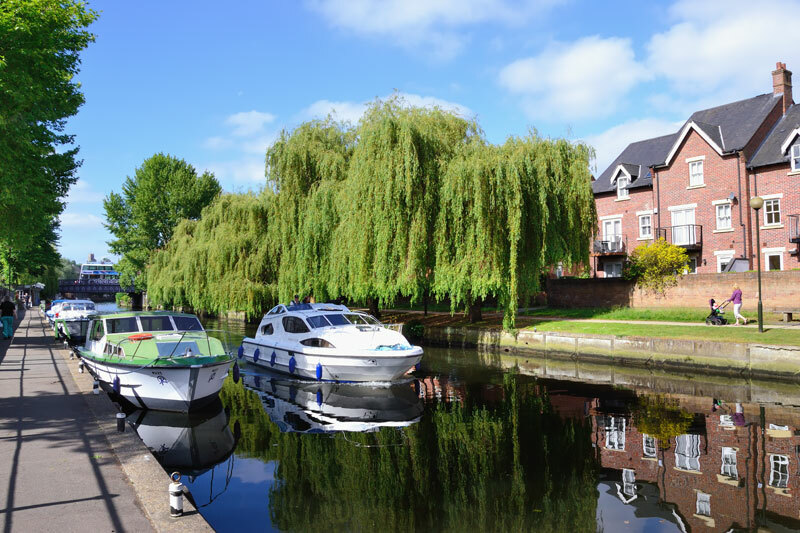 The journey through Norwich is varied with green spaces and new developments both residential and business beside the river. Bishop Bridge is an attractive bridge with three arches and a gatehouse, it was built in stone and is the only surviving medieval bridge in Norwich. 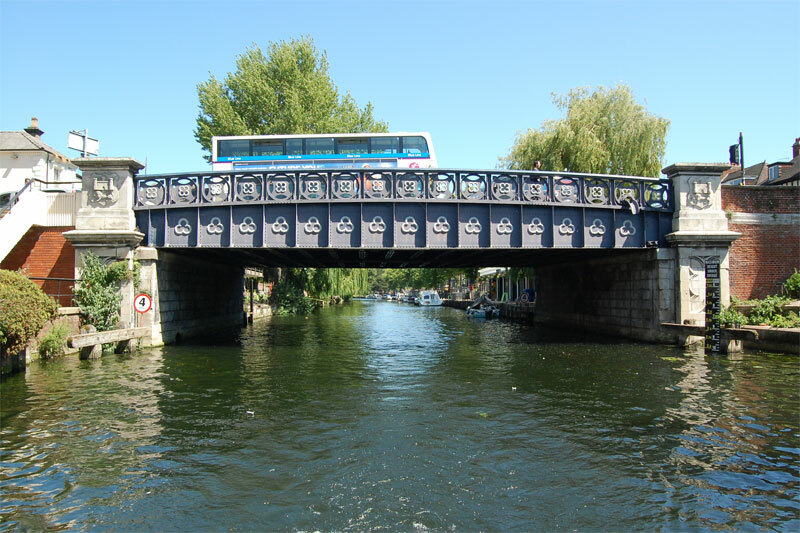 The bridge is the head of navigation for hire craft. Downstream on the right bank is Pull’s Ferry. 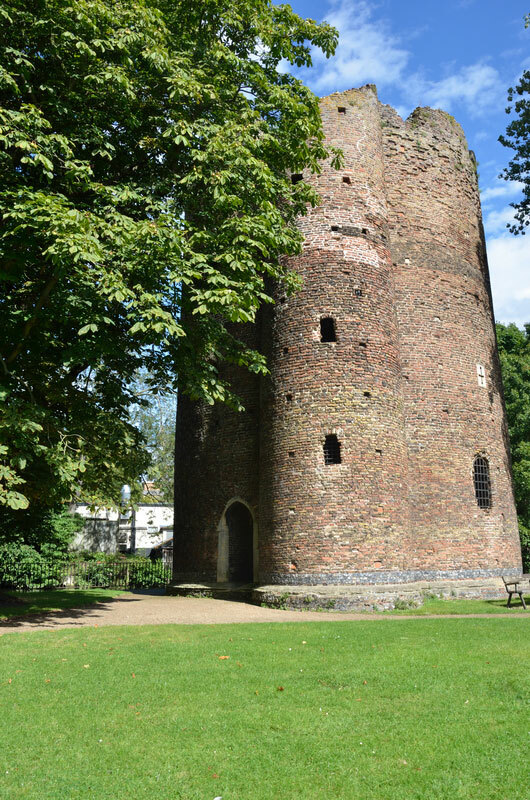 The arched Watergate is the original entrance to the canal dug to enable construction materials to be bought in for the building of Norwich Cathedral. On the left is Norwich Yacht Station. 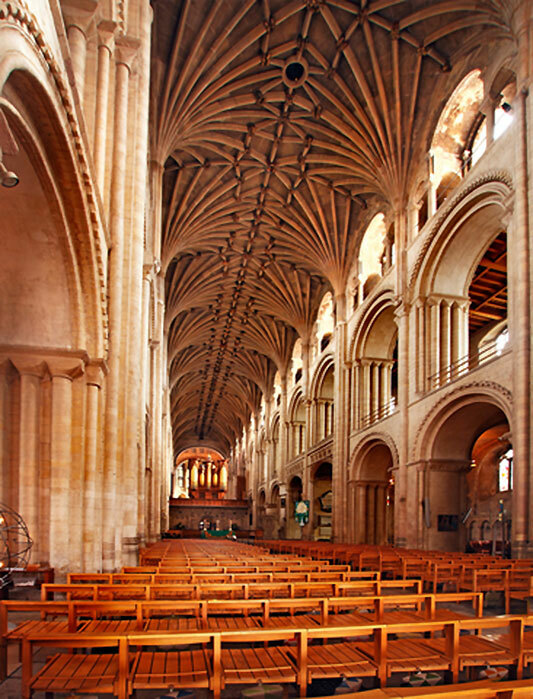 Norwich like any large city has numerous places to eat and lot’s of attractions to visit. There are too many to cover in this guide but here are a few ‘must see’ options for you to ponder over. The moorings at the yacht station are in an attractive situation but the traffic noise from the busy A47 is intrusive. A quay attendant is on duty from 8 am in the morning until 8 pm in the evening during the main season. Facilities include toilets, showers, pump out, water and refuse disposal. Being in a large city security is important to this end CCTV is in operation along with combination locks on the access gates. 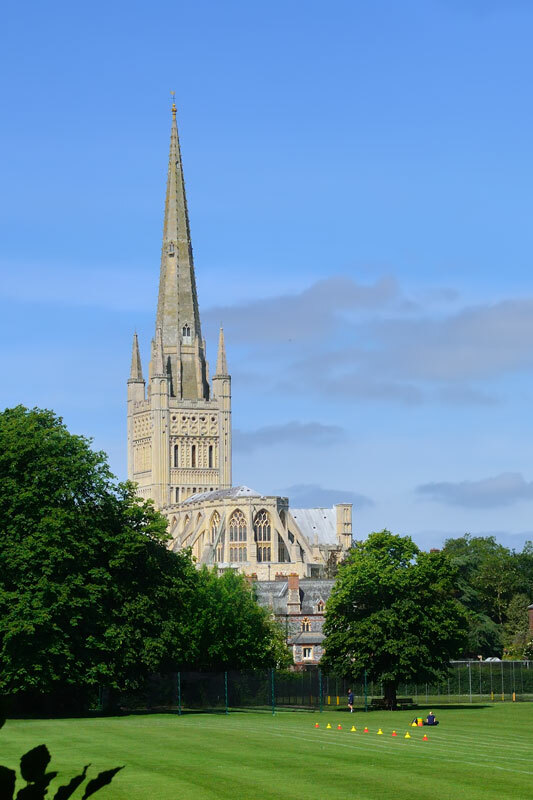 Norwich Cathedral is a pleasant 10 minute walk from the yacht station. Go via Bishopgate and along the riverside path visiting Pull’s Ferry along the way. The cathedral is a beautiful building, work started in 1096 and completed in 1145. The spire of the cathedral at 315ft is the second tallest in England. Hourly guided tours run between 11 am and 3pm, Monday to Saturday. Tours begin at the Nave and last for 45 minutes there is no charge but donations are welcome. 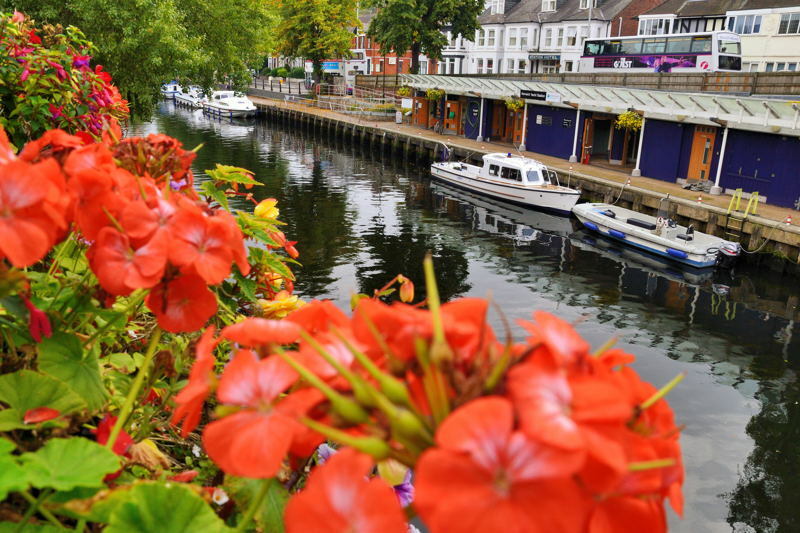 Pull’s Ferry is another well-known attraction in Norwich and just a stones throw from the yacht Station. It was named after the ferryman John Pull who operated the ferry here for over 45 years. The flint building was once a watergate, a canal built by monks ran under the arch to the cathedral during its construction. Caen limestone was bought from France up the Yare and Wensum to be unloaded at the foot of the new cathedral. An information point near the river depicts the history of the building and it’s associations with the cathedral. If you’re stopping overnight at the yacht station then why not pay a visit to the Theatre Royal, just 15 minutes away via public transport. Shows coming up this year (2013) include – Sleeping Beauty on Ice, Derren Brown, Al Murray, Ken Dodd, Sinbad and the Pirate Curse, Jimmy Carr, Deacon Blue and lots more. 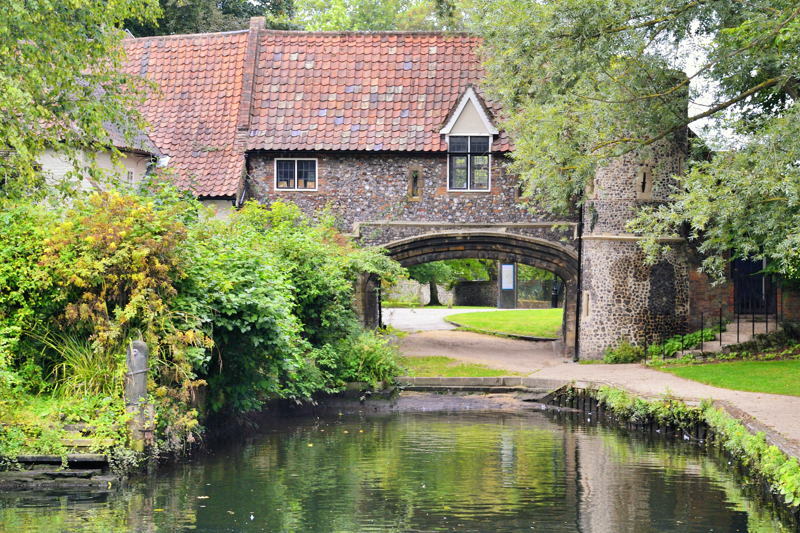 Bridewell Museum, just 20 minutes from the yacht station and recently refurbished contains exhibits and galleries depicting life in Norwich in days gone by right up to the present day. Another theatre within walking distance is the Maddermarket Theatre. Shows this year include – Gilbert and Sullivan’s Pirates of Penzance, Calendar Girls by Tim Firth, Re Take That, a Take That tribute band endorsed by Jason Orange and lots more. 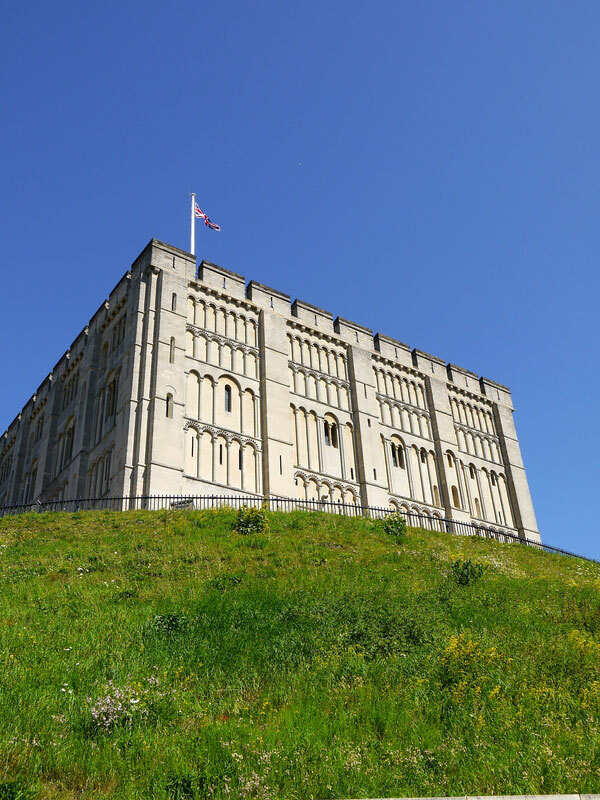 Norwich Castle is 20 minutes by foot or public transport from the yacht station. William the Conqueror founded it some time between 1066 and 1075. Among its many exhibits are an ancient Egyptian tomb including mummies. The world’s largest collection of ceramic teapots. A Norman keep were the latest multimedia brings history to life. Or if you’re feeling brave take a tour down in the dungeons or high on the battlements. 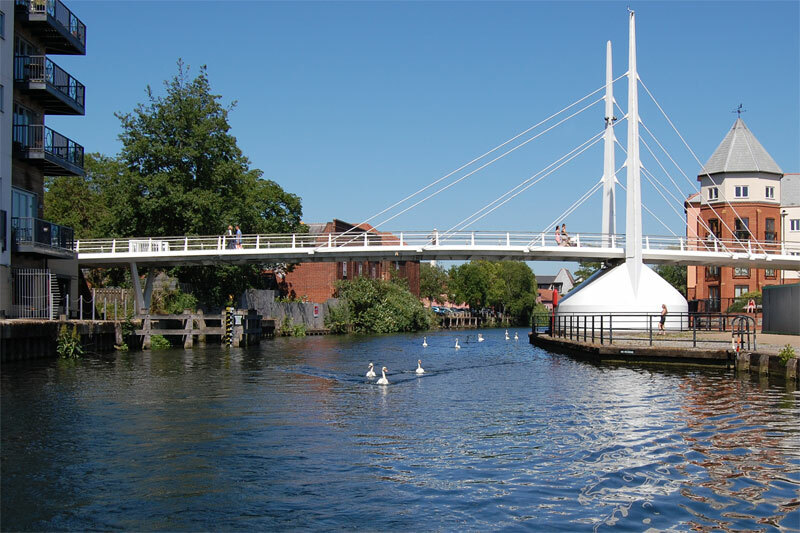 Step off your boat and go on a journey of discovery upstream along the River Wensum past Cow Tower to Fye Bridge. 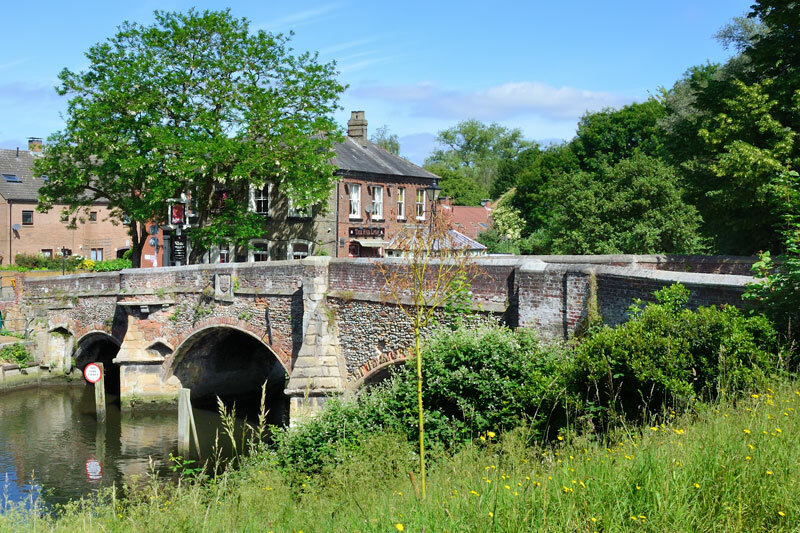 The bridge here is thought to be the oldest river crossing in Norwich. 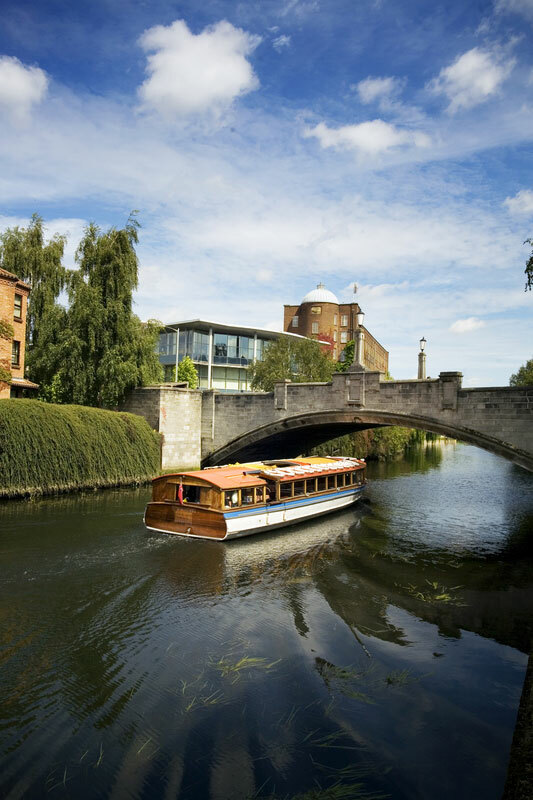 Then take a boat trip through the heart of Old Norwich under bridges dating back to 1342. 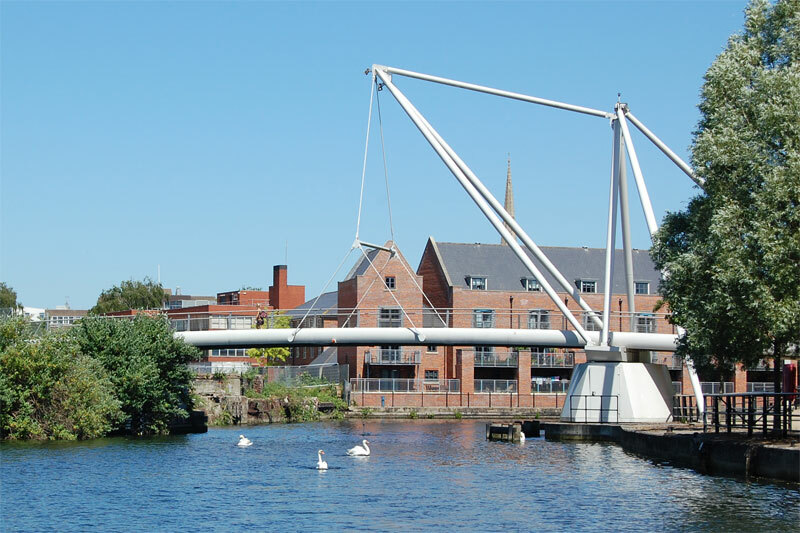 Foundry Bridge at the downstream end of the yacht station is an attractive bridge with trefoiled panels and stone piers with the City of Norwich shield of arms. It has a height of 10 ft at average high water. 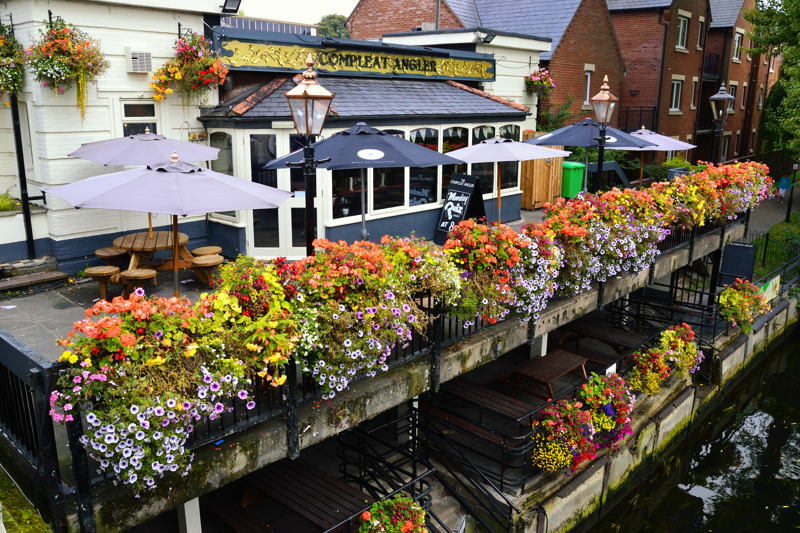 On the right is the Compleat Angler with it’s attractive terrace overlooking the river and yacht station. 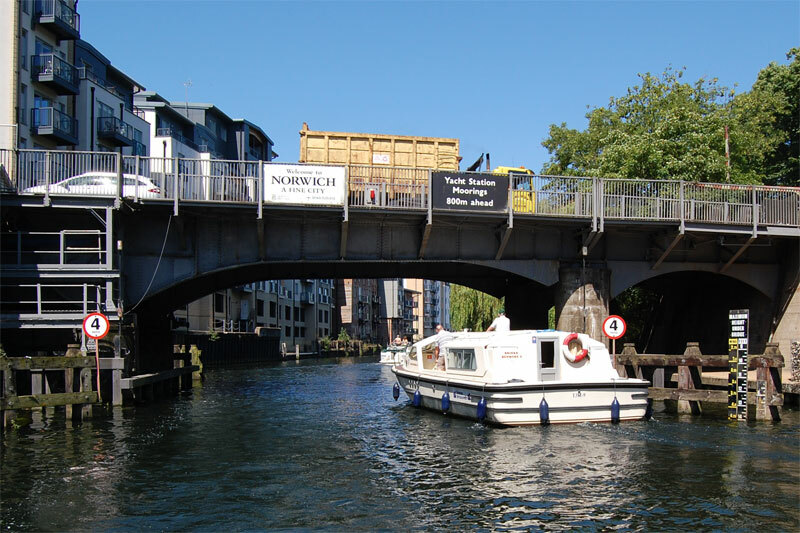 On the left on passing through the bridge is an ex-Swedish Gun Boat home to the Norwich Sea Cadets. Although running through a major city the river is tree lined with a mixture of traditional red brick buildings and ones of a more recent design. 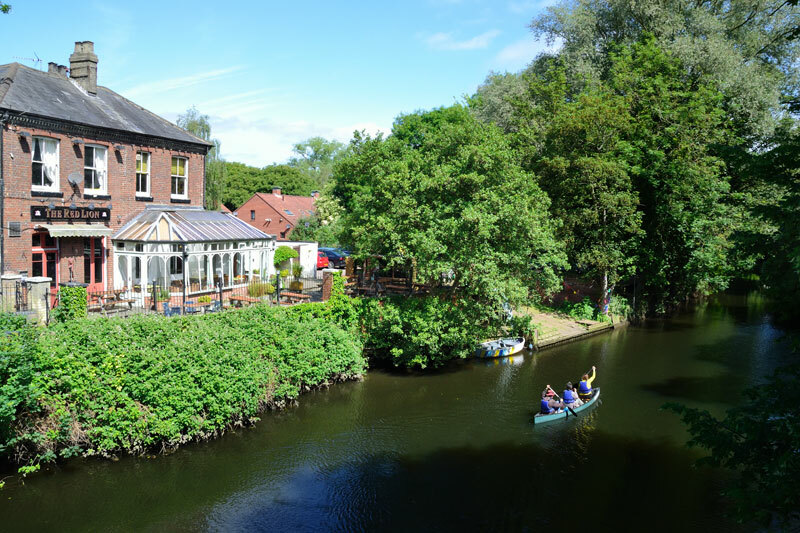 The are many opportunities to eat and be entertained at the nearby Riverside Centre. The river makes a left hand turn at St Anne’s Wharf and passes beneath Lady Julian foot and cycle bridge. The bridge was named by Sister Pamela and Sister Violet of All Hallows Convent who jointly proposed the name in a competition and won. The bridge was opened by the Sisters and the Lord Mayor, Evelyn Collishaw on 15th September 2009. The bridge has a height of 14 ft at average high water but will swing open for larger craft. All the opening bridges can be contacted on VHF channel 12 or contact Broads control in advance: 01603 756056. 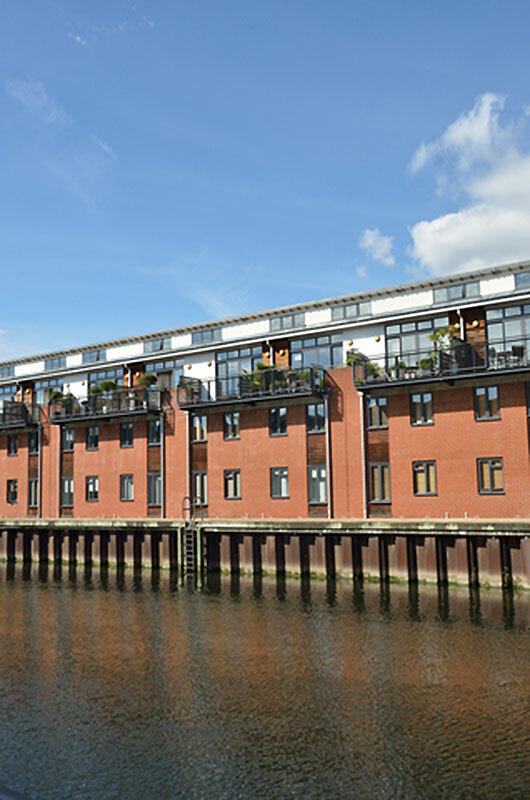 On the left is a modern housing complex while on the right an old wharf building and moored boats. Ahead is another swing bridge for pedestrians and cyclists The Novi Sad Friendship Bridge named after the Serbian town of Novi Sad. The two cities have been linked culturally for over 40 years. The bridge has a height of 16 ft at average high water. On passing through the bridge the riverside path continues on the left through trees alongside the river where on the right is another new development. 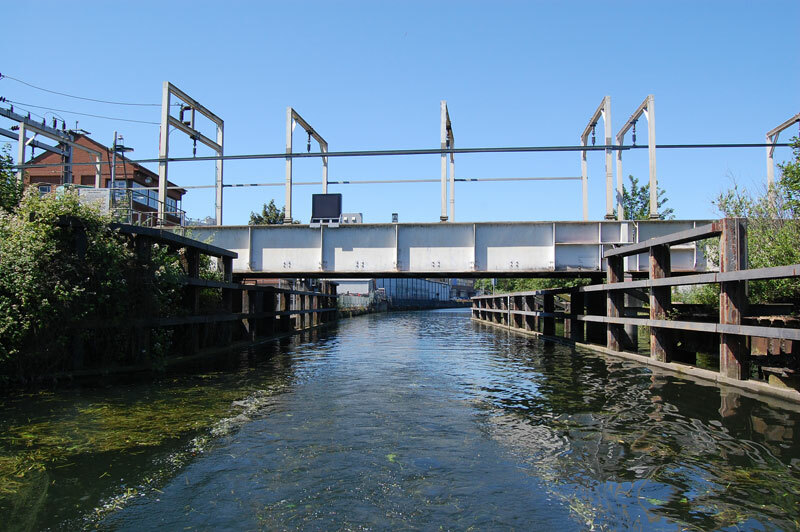 Ahead is Carrow Road bridge, a lifting bridge opened by Prince of Wales in 1923. The bridge has a height of 14 ft at average high water. On the left and right after the bridge are the remains of the old boom towers part of the city walls. Further down on the right is the Colman’s Mustard factory now part of Unilever. Ahead is Trowse rail bridge, opening times for this bridge change every 6 months so checking with the Broads Authority for opening times is advised. The bridge has a height of 9 ft at average height water.